These skorts are ideal for safaris. With the look of a skirt and the functionality of shorts, they are perfect for walking, climbing off and onto Land Rovers, travel, and outdoor activities. These skorts are a godsend for women travelling to Africa. They are the perfect combination of a flattering safari skirt and the practicality of safari shorts. 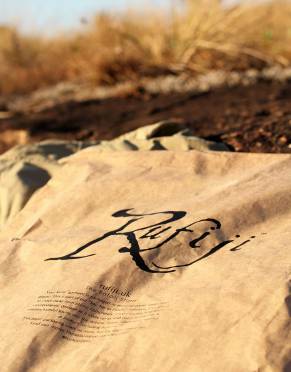 Made from extremely lightweight, strong fabric, they are ideal for maintaining dignity when climbing on and off Land Rovers, allow you to move freely, and look great on your walking safari or even just to wear around camp. These skorts were made with safaris (and luggage allowances) in mind. With all of their benefits and features, they are well-suited to the active outdoorswoman. They allow for flexibility and convenience for adventure travel and outdoor hobbies whilst retaining a feminine fit and design that can be enjoyed at the lodge or for daily wear – a great way to diversify your wardrobe and suitcase. MaraTech™ Ripstop fabric sets itself apart as being cool, lightweight, yet very strong. Its moisture wicking capabilities draw moisture away from the skin to keep you dry and comfortable in warmer climates and the built-in SPF50+ offers maximum sun protection. The SilverPlus anti-bacterial technology keeps your skorts fresh between washes. It is also quick-drying and easily releases wrinkles, making it perfect for travel. The rise of these skorts sit just above the natural waist for a comfortable, stylish fit and mobility for outdoor adventures. The skorts are done up by means of a zip and button which complement the overall look of the garment. They also have two hand pockets and a button-up back pocket for added convenience. 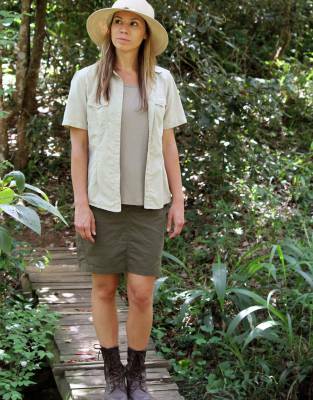 ⊙ POCKETS: The Rufiji™ MaraTech™ Safari sKorts have two hand pockets and a button-up back pocket which complement the overall look of the skorts and for your convenience. 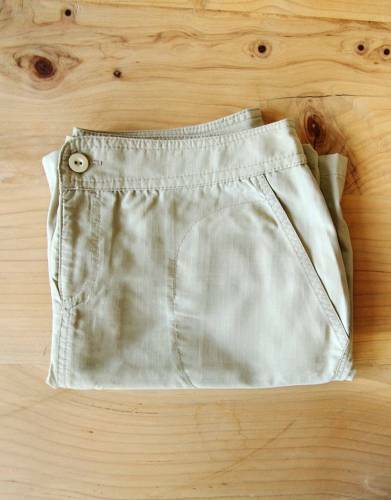 ⊙ FIT: The skorts are secured by means of a zip and button. The rise sits just below the natural waist for style and ease of mobility during outdoor pursuits. *Please do not assume your size. Always check the size guide below. Hi Steve, I just wanted to say the sKorts, in particular, are great - perfect for Africa because they're lightweight and dry very quickly like the shirt. 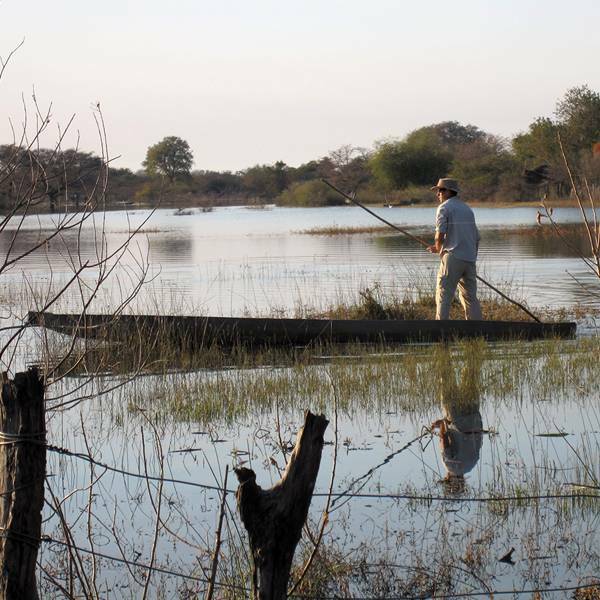 It is also chic yet practical at the same time, so ideal for ladies in the bush. Thank you so much. I've worn them the whole time. This is the first time I have bought skorts . 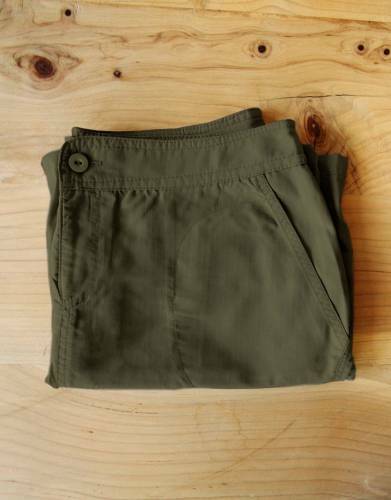 They are amazingly lightweight fabric, a great deep khaki colour too. Very comfortable. They do come up small though. Great purchase and now waiting for the stone to comeback into stock.